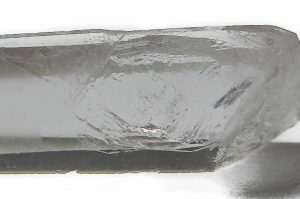 You can identify a Growth Crater by the impression or indent that is found on the body of your main crystal – this will usually be a four to six sided shape as pictured below. This indent is formed due to another crystal growing out of the main crystals body at some point in time and then being separated from it. What you are seeing is a crater formed from the base of a separate crystal which is no longer there. This is different from the indent left from a ‘Key’ as a ‘Key’ is formed from a removed crystal growing along or beside the main crystal. 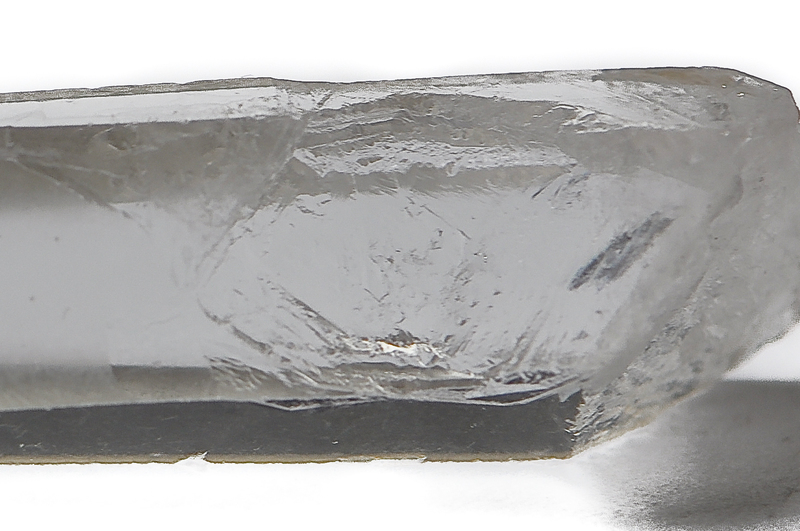 Please see more information about Keys Crystals here. Crystals with Growth Craters on them are great to work with when you are doing past life regression. This is because they strongly symbolize the point of origin or beginning of a past event. What makes Growth Craters so good in this aspect is that you are working from a place of safety in order to explore and reconcile past events. This is not exclusively related to past lives events, if you want to explore when or where a habit or emotional connection started a Growth Crater will allow you to find greater understanding that point in time. Another area that Growth Craters can assist us with is in self empowerment and self realization, this is due to the crater or ‘nest’ which is left after the departure of the second crystal – so in essence it is allowing us to move forward or leave the safety of our own nest. You can then move forward and fly freely having learnt the lessons as you are meant to. When working with a Growth Crater it is a good idea to either place the crater side of the stone directly on your energy point or place your thumb into the crater and mediate with it. When healing a specific point or working on another person place your thumb into the crater and use it as a wand pointing or waving the crystals over the area being healed. Growth Craters are a lot rarer than Key and are treasure by those who learn how to use them correctly.